In today’s world, if you talk about the advantages of social media, most people will think about communicating with anyone around the world. That is true, but when it comes to being part of this environment of millions of people, do you really know how to differentiate yourself from the rest and get the attention you want? Follow these three steps and become an entire genius of this art. Your computer (or cellphone) happens to be your best ally these days, because with your social media you can virtually reach every goal you set for yourself, but to achieve it you must find the most important point of all: The factor that differentiates you from the rest. Step #1: Look for the element that sets you apart from the rest. Going with the flow is the most common thing for people, it is simple, and comfortable in many cases, but it is there when you fall into the routine, in what has already been tried and worked. To really take the advantages of social media into your hands, you have to squeeze every drop of those characteristics that makes you different, that gives your personality. Step #2: Take inspiration from those who are at the top. After having clear what will make us different, it is time to seek inspiration, not to copy but gather information from those people or companies that have exploited the advantages of social media, which have something that make us follow them in each new post, and take that admiration to create a better version of what we will share with the world. Step # 3: The trial and error will make you find your voice. The last step is about trial and error, through a combination of techniques both of our own and those we take from previous inspirations of the profiles we admire and investigate. Do not fear in the use of images and texts, you just have to find the style that suits you, becoming a voice that stands out in the crowd that can be those millions of other profiles that struggle to take full advantage of social media. 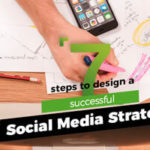 There you go, 3 essential steps that you must take into account to take every inch of the advantages of social media and become a reference of content. The important thing is to see all the opportunities offered by this virtual world of communications, and allow yourself to take part of it in a correct way. Remember, this and much more is a part of what we do within Virtually Present, developing strategies that allow you to take the advantages of social media and become a leader. We are just a mail away, write us an email to: hello@virtuallypresent.net and let us be part of your future. The power of the written word is unimaginable, and for that reason, he takes it as a badge in front of the world around him. With strength, humor and lots of energy, Eli enjoys copywriting because it means more than a few phrases for him, they form a content of value that will move emotions and create a precedent for others.